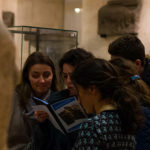 After a long walk in one of the biggest, most magnificent museums in the world, you will probably be starving… Before/after doing our scavenger hunt in the Louvre museum, have a look at our inspired list of the best restaurants in Paris in the Louvre district. As we are always think about our customer’s best experiences, here our top 5 favorites, only for you! 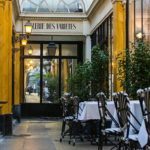 To start our list of some of the best restaurants in Paris, let’s go near one of the most beautiful covered passages: Galerie Vivienne. 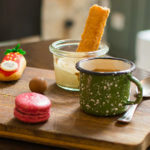 The inspired Le Dépôt Légal restaurant is managed by the most talented chef Christophe Adam (L’éclair de génie pastry shop was created by him) and welcomes you in this very lively place. In a very elegant decor, come and taste simple products restyle and cooked with love! On Sundays, brunch is also available. Let’s continue our list of the best restaurants in Paris near the Louvre. Located a few steps from the renowned museum and the Palais-Royal garden, Pho 14 Opéra immerses you in authentic and delicious Vietnamese cuisine in Paris. On the menu: nems, ravioli or succulent chicken pho soup (also available with beef or only vegetable). Try also the Bun Bo Hue or a perfect Banh Mi sandwich, which are absolutely amazing here. The restaurant is open from 11 am to 10:30 pm and is quite often nearly fully booked. We have some great advice: come early! Near our team building activity in the Louvre Palais Royal, and two steps from the Bourse square, chef Daniel Rose laid down his hat in a lively restaurant: La Bourse ET La Vie! The name is a French play on words, but the chef is not playing with the great food! Here the cuisine is classic French, cooked in a bistro style. You can find a traditional pot-au-feu or the classical and Parisian steak with French fries, both great choices. We love this one for it’s excellent quality of the food and generous portions! After Vietnam, let’s travel to Japan with one of the best restaurants in Paris: Kunitoraya. Located near the Louvre, Chef Nomoto awaits you for a gourmet trip to the land of the rising sun. Savor (or sip!) some delicious Japanese traditional noodles: the well-known and silky Udon. They will be served to you in a hot broth soup with flavorful pork, chicken or vegetables. The soup lovers won’t be able to resist the wonderful Kunitora Udon cooked with pork thin slice. We are already waiting for your feedback on this rich experience! Best restaurants in Paris: the Pizzeria Popolare – from Paris to Napoli! No, the last one in our list of the best restaurants in Paris near the Louvre is named Pizzeria Popolare. Write it down! Located a few steps from Bourse square, this authentic Italian pizzeria from the Big Mamma group will transport you to Naples. The products served here are bought directly from the producers. The place is quite large, with 250 seats. The pizza’s starting prices are ireally attractive at only 5 euros for Margarita style… It is perfect for an inexpensive lunch or dinner with your friends or colleagues in Paris. The only negative aspect is that you will have to wait a little bit in the line before entering the place. However the charms of Italy and the delicious food worth the waiting time! Booster2Success is looking for the best restaurants in Paris near its team building activities.